Have you ever known someone who, at first meeting, you just didn’t “click” with? Perhaps you never dreamed you and this person would become the good friends you now are. What exactly happened that elicited a desire within you to get to know this individual better? More than likely, you had a realization of his or her amazing abilities. Once you had an idea that there was much more to this person than meets the eye, you decided to pursue a friendship. A learning management system (LMS) is like a person who may not “wow” you the first time you meet, but has savant-like abilities that will captivate you when you take a closer look. What Do YOU Think an LMS Can Do? Most people are unaware of the above benefits. In general, the majority of people probably believe that eLearning is merely convenient. Convenient it certainly is, but that’s not the only characteristic of eLearning. If business owners were to take a closer look at an eLearning system, they may well discover a friend they never knew that they always desperately needed. Why? 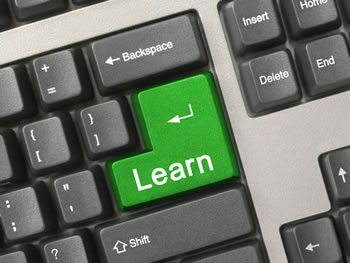 For one thing, an eLearning system can relieve a business’s financial strain. Gain a better understanding of the features that an LMS can do for your company by downloading our overview guide. Are you aware that an LMS can lower a business’s bottom line? It accomplishes this primarily by reducing the cost of corporate training. In-person training, or classroom-style training, is more expensive than you may think. The article Cost Comparison Between Online and In-Person Training states that a company based in several locations, having 500 employees total, would spend about $110,000 on training each employee in-person for 3 hours. eLearning literally costs a fraction of that. In-person training generally puts a strain on a company’s budget. Online training, or eLearning, is cost-effective (provided there are no per-user fees associated with the LMS) and can lower a business’s bottom line. It’s as simple as that. It’s no secret that people have different learning styles, different levels of experience and different personalities. Because of these variables, not everyone learns in the same way, at the same pace. An LMS allows employees to learn at their own pace, with resources that are helpful to them (i.e., videos for visual learners, interactive games for those who desire a more hands-on learning approach, etc.). Individualized learning plans make online learning the most effective, comprehensive style of corporate training available today. Most businesses that are steadily growing have at least a couple of employees that work from separate locations, perhaps even overseas. Some companies have thousands of individuals working from remote locations. How do these businesses keep track of everyone’s records, training certificates and ongoing learning paths? By implementing a learning management system. Many LMSs can be deployed in any major language, making it easy for all users to fully comprehend the information being presented to them. Also, employees can connect with one another, no matter where they are, via realtime chat, video conferencing and more. An eLearning system is the ideal way for a business blooming beyond the confines of one location to keep employees united while allowing unlimited growth. It’s not always easy to find an LMS that can be tailored to learners’ individual needs, unite geographically separated employees and relieve financial strain. However, the TOPYX social LMS has awards under its belt for delivering these benefits. Best of all, there are no per-user fees associated with TOPYX – it is a flat-rate learning management system with absolutely no hidden fees. A social learning management system can bring incredible benefits to the table of any company, and business owners are wising up to this truth. A quality LMS is the friend you never knew you always needed to help you run your business in the most expedient way.